You’ve been texting a girl. You’ve used emojis and memes, and you’ve thought up a cute nickname for her. If you’re left thinking “why won’t she text me back?” there may not be anything you’ve done wrong. There are a few ways to salvage the situation and even more ways to distract yourself. Now that checking our phones is a pathological habit regardless of whether you are waiting on a text from a girl, the pause in her responses can lead to anxiety. Hanging on to her every word shows a negative headspace. What you need to have in mind is that while texting can feel like the kindling of something special, it’s a limited way to stoke a connection. The interaction needs to advance to a face-to-face encounter as soon as possible. There are numerous ways to achieve this, even if she hasn’t responded all day. Why won’t she text me? If she’s not responding, it could be down to a busy lifestyle, or simply being lax with responses. However, it takes a few seconds to send an SMS, so it’s more likely that the prospect of seeing you in real life does not make her feel excited, interested, or comfortable. That’s not a personal slight. It just means you need to adjust how you’re communicating. It’s time to re-pitch yourself. If a girl doesn’t text back, the important first step is not to smother her. She’s not responding to one message, and she won’t respond to 20,000. It’s not going to make you an interesting prospect if you overshare. However, seeming not to care if she doesn’t respond is the same as rationing eye contact when you’re first talking to a girl in a bar. When she doesn’t text back, don’t text her again for another 24 hours. This will create demand by scarcity. You also want to keep the connection going. Don’t leave a gap of more than 2 to 3 days before texting again. Texting is more about momentum and consistency than content, although what you say is important. It’s difficult to maintain that momentum if she isn’t replying. There are ways to restore the conversation, but even if you enjoy playing hard to get, you do have to jump back into the interaction in a timely fashion. 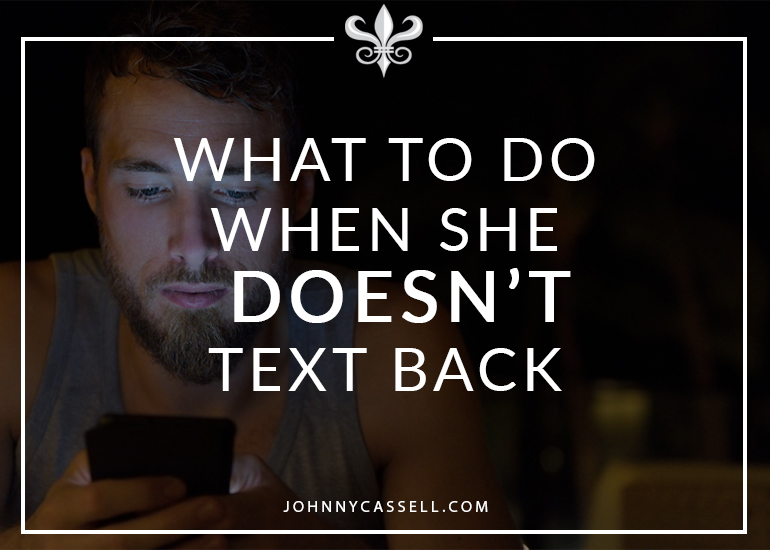 Golden rule: As far as she’s concerned, you don’t care why she didn’t text you back. If you want to give the impression of true core confidence, you cannot give the sense that not receiving a text message has dented your ego in any way. Even referring to the original thread of conversation (let’s say you were asking what she was doing that night) is a big no-no – it suggests you’re still trying to pick up the original conversation. Don’t even joke about not texting back, as it only comes across as passive aggression. When you’re texting her again after a day or two, it should be fresh, positive, and give the appearance of spontaneity. Remember, you’re only trying to stoke enough positive feeling to get that in-person meet-up. All you’re doing is trying to spark the curiosity and excitement that leads to a great first meet-up. I’ve been through what not to say. But it’s also worth knowing what to say to a girl that doesn’t text back. The only tools you have are what’s on your mobile and your choice of language. Using these correctly will boost your chances of reigniting the conversation. Use of emojis and memes can help. Open questions and positive language can help. Humour is also your greatest asset. I’ve put up another piece on how to make a girl smile over text. Give it a read and pick up some tips. You’re aren’t trying to strike up a deep connection over SMS. You are instigating enough good feeling that even if a girl doesn’t text you back in the first place, you can still invite her out on good terms. Know what to do if a girl doesn’t text you back? The best way to genuinely not care if she texts you back, to keep momentum going, and to maximise the chances of an impactful connection is to get as many phone numbers as you can and text them all. 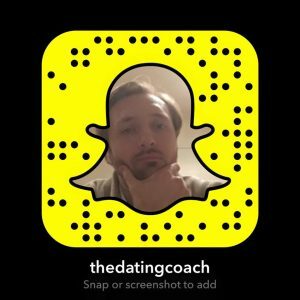 Are you going to worry about one girl not responding when you have another 5 to 10 text conversations on the boil? Of course not. It’s the same way you keep a girl interested in a bar or club – get seen talking to as many girls as you possibly can. Who knows, you may even have her asking why you’re not texting her back. If you want to know how to pick up as many phone numbers as possible, you could benefit from one of my one-to-one bespoke workshops.